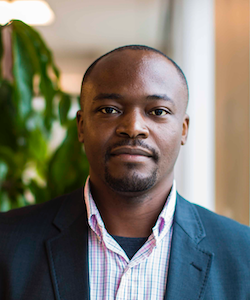 Born in Kolwezi, a mining town of the Democratic Republic of the Congo, he is the Managing Director of Global Access Health Network. A Congolese company that provides unique medical risk management solutions to companies operating in countries across the central part of Africa. He has worked with Health Systems Link to focus on specific medical risk consultancy with solutions based on evaluation and analysis of health policy funding models and opportunities specific to each country in Africa. As an entrepreneur with vast experience in Central and Southern Africa, he has mentored young generation on social entrepreneurship through Kurut Resources, a company he co-founded in South Africa. He holds an MBA in Finance from Hult International Business School in Cambridge, Massachusetts and a Bachelor of Commerce in Finance from University of South Africa.